I want to take the time to thank you for visiting our Airbrushing In Kansas City Website. Below you will find all of our information if you need to contact us for more info, or to make appointments. 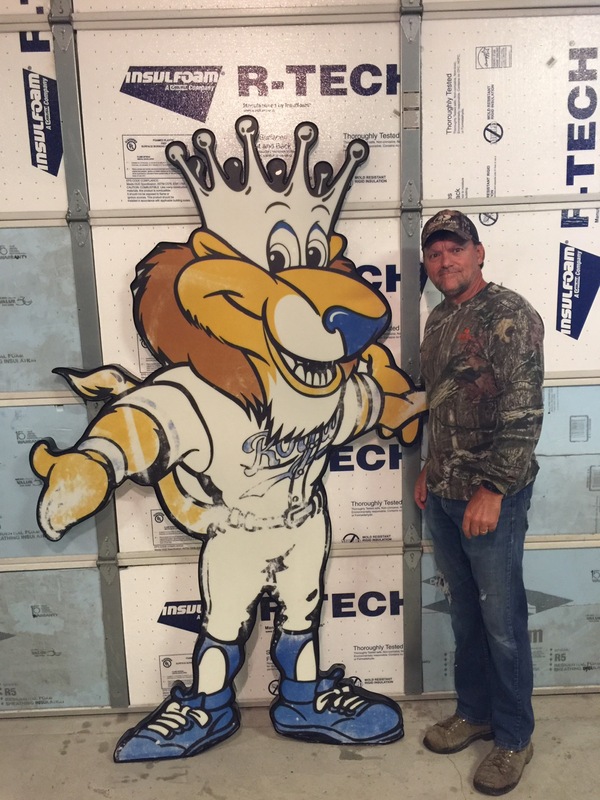 Airbrushing In Kansas City will do everything possible to meet all of your custom needs, and to make your dreams come true. My name is Mike Pilcher and I live in Trimble Missouri just North of Smithville Mo. 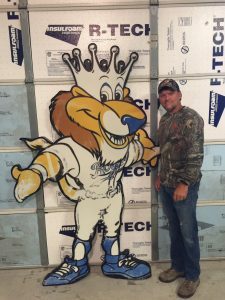 I have been in the Collision and paint industry for the last 25 years, and I have been Airbrushing and Custom Painting for over 15 of those 25 years. I have trained with 10 of the very top Airbrush Artist in the world in the Iwata training facility in Salt Lake Utah, and have also trained with other Airbrush Artist as well.I am a Husband, Father, Grandpa, and a Successful Business owner. Being in Business for myself for so long has been very rewarding, and of course it has had it’s downs too, but the mistakes of being a business owner has sharpened me and made me so much better. I came from a very small town North/East of Kansas City, and still have Daughters and many friends there, but I must say that being down here has been rewarding for us as well as life changing. If you’d like to know more about me you can follow me on facebook here <<<and learn more about me. Add me as a friend on facebook here <<<. I take great pride in my work, and I will match my work with anyone out there. My prices and my work are unbeatable! Being in the business of collision and body for over 25 years now I have figured out all of the tricks of the trade. I stay up to date with all of the finest automotive finishes and products on the market today. We only use the best here at Mike Pilcher Customs, so please take the time to check us out to see exactly how we can serve you and all your Custom needs. Take the time to call me and see if there is anything that I can help you with. Make sure and visit the different pages on this site, and check out the work we do, and also the Airbrush Classes and the Schedules. Do you do Mirror Chrome painting? training facility in Utah several years ago. The mirror chrome stuff is very cool, and a great look. new picture and more update to our site, so keep checking back. I was wondering if you are able to airbrush roller skates? Yes I can and will do rollerskates. love to help you with this project! Thanks Dan for contacting me. This is something that I can do, and have already done on other vehicles. pretty pricey, and has to be added for this to last. Hey I have an harley Deuce I’, looking to get painted. I ran into they guy with the silver street glide you did with the custom air brushing. I really like your work. I’d like to find a ball park figure of what it would cost to do something similar on my bike. not the same design but the same isea with the different designs on different parts. I have sme pics of other bike that I like that would like to kinda of comebine the ideas of a few of them to come up with something original.obvoulsy I have alot less surface are to work with then he did on the street glide, but that should help with the price. Thanks for taking the time to contact me, I really appreciate you for considering me for this project of yours. depending on the amount of work to get it ready for paint, the colors, the design, art work, etc. you a much closer idea of price. I have a 89 chevy caprice, and i was wondering what it would cost, just a ball park figure, to do a mural on the hood. Probably a skull with blue flames in and around it. Thanks. Your other murals look great too by the way! Thanks for taking the time to message me about your project. paint) needs, body work to the hood, etc. the opportunity to be able to help you with this bike. below. I appreciate your taking the time to check me out. before the price starts going up. I am needing a white suit done in tropical sea turtles in the ocean. A big sea turtle on back of suit coat, and sea turtles in a water pipeline winding from front to back of suit pants on left leg. The coat already has tropical flowers on the front in white embroidery that I would like filled in. I will be wearing this in a Male Impersonator National Pageant in March 2016. I will need it completed by January 1st 2016 so I can have time to add fatback rhinestones to it. I will need to have it altered first. Is this some thing you could do for me, please? And what would be approximate cost? Higher estimate is better, so I can save money. Sounds very cool, however I am doing anything like this anymore. I stopped doing clothing many years ago. Thanks for checking me out though, and good luck with this gig. Hi Mike – I gave my 14-YO son, an aspiring musician, a build it yourself guitar kit for his birthday. I guess it’s really a “paint it and assemble it yourself” kit. I’d like to see him get a super-cool but reasonably priced paint job on the body of the guitar. Something he can sketch out and a professional could make memorable. Would you be interested in such a thing? Please email me your thoughts at kevin.brown@willis.com and perhaps we can discuss further. Thanks! Hey Mike- Can you airbrush some Sergeant stripes and dog tags on a flat black Daytona half helmet? after it is finished before I could think about doing it for you. I should be finished with this project in the next 2-3 weeks. I was looking at getting a new Shoei GT-Air all black and get it custom painted. What do you usually run (cost wise) to custom paint a full face motorcycle helmet? Does depend on what all I want on it or just a lump sum? Looking for a creative way to mix Drones and/or Razer (gaming) logos on it. On something like this you are looking at $250.00 at least which I think will cover pretty much everything as you have described. Hey Mike! I’ve recently been looking into airbrushing for a project I had in mind, and with me considering that I myself have no artistic talent of my own I’d love to know if a professional like yourself would help make this idea of mine come to life. I’ve seen all the pictures you have uploaded onto the site, and I was curious. Do you happen to be able to airbrush walls? My parents and I are moving, and they’re supporting my idea of a theme for my room. If you’re available to that type of work, please shoot me a reply! Thanks. Thank you for reaching out to me. Yes I have done this type of work and can be available to do something like this. I would like to have more information about this and possibly see the project surface, or at least some pictures and then I can give you an accurate estimate on the cost of a project like this. I came a cross your web site, and want to know how I can get your instructional e-book and can I purchase your videos on DVD. I teach at technical college in Springfield, Massachusetts. I offer airbrush course at the college. I am always looking for instructional DVD’s for my student to use on their time. I demos in class and basically let them trial error there style. I used to live in Pittsburg , KS. I graduated from Pittsburg State University with a degree in graphics. I have taught in New Mexico, and now in Springfield, MA. Thanks for taking the time to message me. All of the DVD’s are gone and I am preparing to create new ones that are much more updated with the latest and greatest tips, tricks and simple teaching that allows anyone to be able to follow and put to use right away. I am so glad that you are teaching others! I love teaching and sharing what has taken me years and years to master. I really love helping others make their dreams come true. 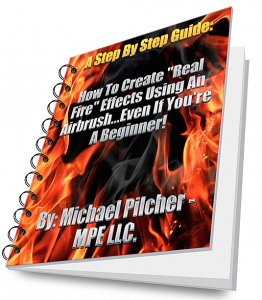 Mike, I met you at your farm this fall and discussed taking an airbrush class. I see that I may have missed the opportunity this winter. Please put me on your list so that I may arrange a future opportunity. Thank you. Do you do hockey goalie helmets? Yes, I do hockey goalie helmets. Feel free to call or text me anytime for more information.